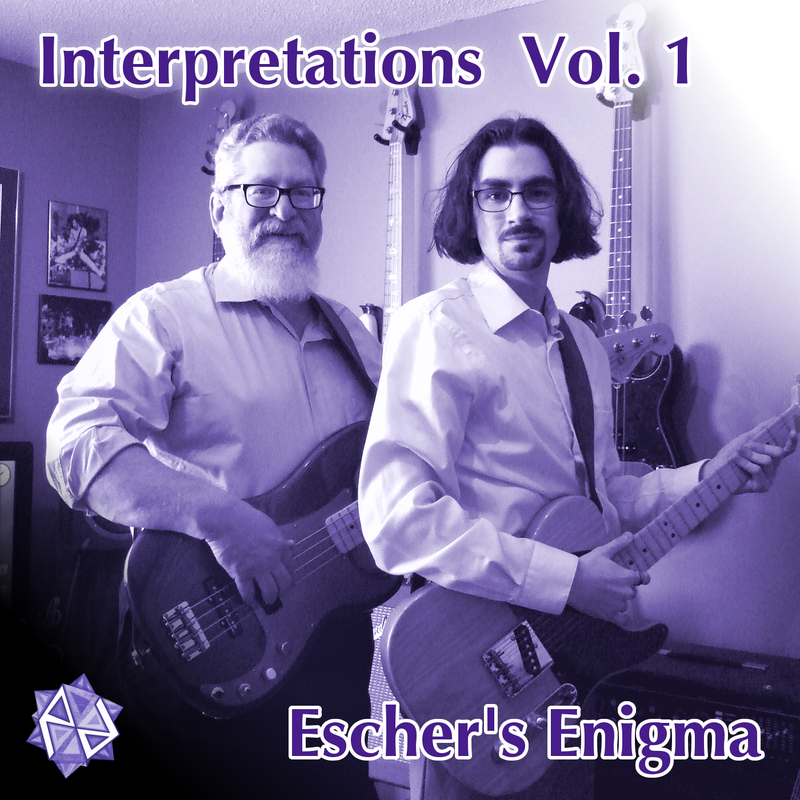 Escher's Enigma is Brian Miller (Guitar, Vocals, Midi) and Russ Miller (Bass). 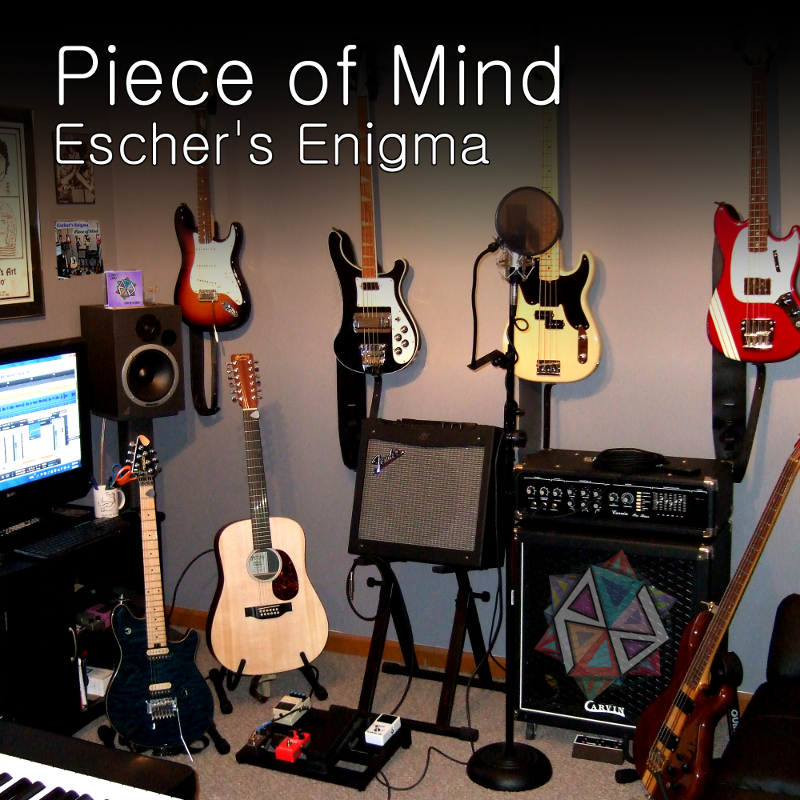 This father/son duo writes, arranges, performs, and produces original rock and pop music. Brian and Russ have a combined 40+ years of performing and recording experience. Physical copies and instant downloads of their critically acclaimed CDs are available from Amazon, CD Baby, and iTunes, to name a few. 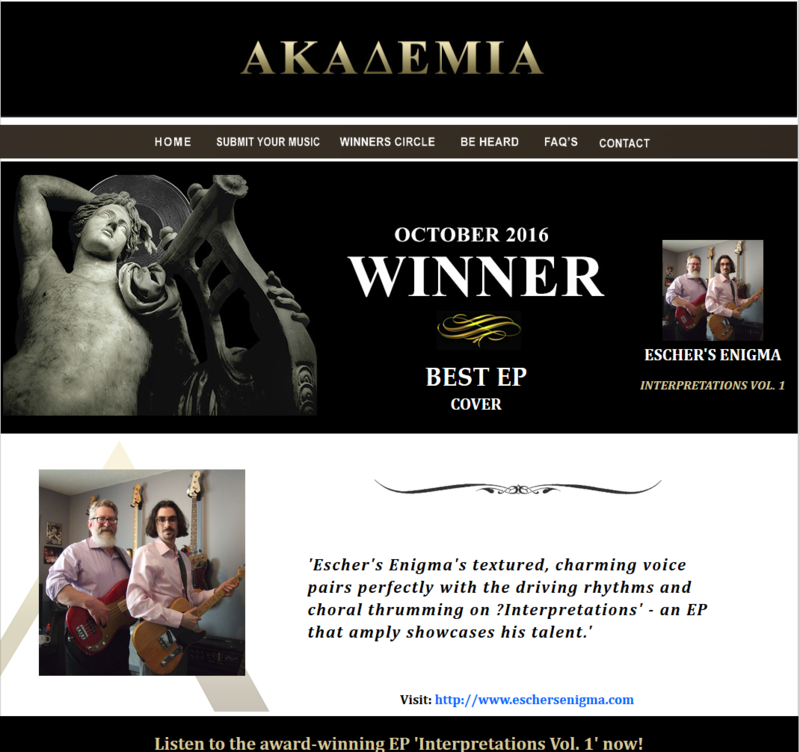 "Pure Musical Mojo" "Pop Perfection"
creativity and eccentricity to go around." father/son duo ... clearly worthy of worldwide recognition. “They represent all that is good in music. but I have yet to hear anything from them that isn't exactly that." be found with no other band of this day and age." "This is one of the most original sounding bands I've heard in quite some time. it also deserves a much wider and attentive audience, to say the least." with a limber rhythm section that keeps the music loose yet powerful." if you can't sit back and enjoy this, you're missing what great modern pop is all about." Simon and Garfunkel...The basswork and vocals are fantastic." "Press the play button and enjoy." "The playing, writing and delivery of these songs is brimming with vim and vigor."